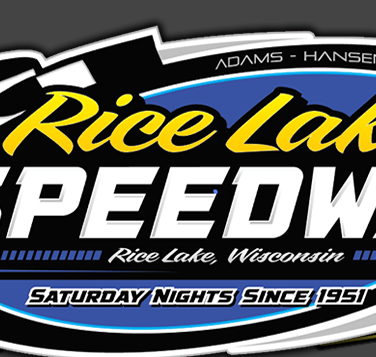 Rice Lake WI, August 13 – It was Hall of Fame night at the Rice Lake Speedway Saturday and six new members were inducted into the Hall as a part of the celebration. One of those added to the Hall was Rick Ellis. In storybook fashion, later on Saturday evening Rick's son Austin would win his first feature event of the year in the Midwest Modifieds and only the second of his career for the fifteen year old to highlight the last point race of the season. A late afternoon downpour threatened to stop the show but Mitch Hansen and Duane Bisonette again performed their magic and produced a good racing surface for the drivers so that the show could be run. Other new members of the Hall of Fame who were added Saturday included drivers Don “Doc” Cimfl and Dave Erickson along with Ralph Sirek, Troy Newman and the later George Cook. Along with Ellis, Shane Sabraski also won his first feature race of the year at Rice Lake while other winners included Curt Myers, Eric Olson and George Richards. Twenty three cars took the green flag for the Midwest Modified main event with Denny Cutsforth leading the opening lap while he received pressure from Josh Hessler, Josh Wahlstrom and Ellis. Only two laps were completed when the yellow flew for a spin. Cutsforth continued to lead on the restart but Ellis went to the high side on the blinding fast track and quickly pulled up beside Cutsforth to challenge for the lead. Ellis was able to make the pass but a second yellow for debris on the track stopped the action once again and saved Cutsforth who maintained the lead. This time Ellis took the low side and as racing resumed, Austin was able t o get a nose under Cutsforth and take over the top spot. Travis Anderson had moved up among the leaders early, then dropped back some but then again made a charge and he moved into the second spot. At the same time, Shane Halopka, who started way back in row six was making a determined move of his own as he challenged Cutsforth, Kent Baxter and Wahlstrom for position. The last ten laps of the race ran nonstop and Ellis maintained his torrid pace, not letting anyone get close enough to seriously challenge him. Anderson pushed as hard as he could but he couldn't close on the leader. It was one year ago this week that Ellis won his first ever feature race and he crossed the finish line to thunderous applause by the crowd. Anderson finished a solid second with Halopka passing the most cars to finish third. Wahlstrom recorded his top five finish of the year and Kent Baxter completed the top five. Ellis becomes the seventh different feature winner in the Midwest Modifieds at the track this year. Ryan Viltz was the point leader in the Midwest Modifieds and while he didn't have his best night of the year, his eighth place finish in the feature was more than enough to secure him the point title. Sabraski showed great patience as he waited for things to settle down in the Modified feature and he gradually worked his way into contention and then jumped at the opportunity to take the lead when it presented itself. Pat Hoffman led the first thirteen laps of the Modified feature and except for one bad restart, the last of five in the yellow slowed race, he would likely have won his first feature race of the year. Hoffman started on the pole and took the lead immediately with Dave Baxter providing the early challenge. Kevin Adams quickly moved up from the fourth row to challenge and after three straight yellows with four laps complete, Hoffman, Baxter and Adams exchanged some wild moves as they fought for the lead and each time, the yellow would quickly come back out and slow things down. At midrace, Sabraski started to make his move from the third row and after passing Baxter for third, he closed on the leaders. A lap thirteen yellow for debris on the track bunched the field one more time and when the green flew, Sabraski used the low side to get the jump on Adams and take over second. Then, after leading so long, Hoffman slid high in turn three and opened the door for Sabraski who flew under him to take over the top spot. The last seven laps of the race ran nonstop and Sabraski ran then pulled away from the field to ensure the win. Adams had his hands full with Baxter who made another charge at the end and Adams nipped Baxter by inches for second. Hoffman rolled home a disappointed fourth while Justin Oestreich came from the back of the pack to complete the top five. Adams salvaged some satisfaction from the night however. The only point battle that was close saw Mike Anderson lead Adams by one single point going into the evening's action. They were tied entering the feature race and while Adams finished second, Anderson struggled home in sixth as Adams added yet another track point title to his long resume. For Sabraski, it was his third ever feature win at Rice Lake in the Modifieds but his first since the 2007 racing season. Sabraski also became the eighth different winner in the class at Rice Lake this year. Myers was extremely strong as he came from the third row in only two laps to take the lead in the Super Stock feature and then dominate the rest of the event. Myers' win was his seventh at the speedway this year, making him the top winner at the track in 2016. Willie Johnsen Jr and Adam Soltis battled for the early lead in the race while Myers quickly tore to the front, passing both high and low and showing dominant speed. He dove low in turn three and slipped under Johnsen Jr to take over the lead and after that, the closest anyone could get to him was when the yellow bunched the field. While Myers ran away from the field, there was some strong battling going on behind him as Soltis, Aaron Wilson, Sabraski and Eric Olson fought side by side for position. The last yellow set up a five lap sprint to the finish and once again, Myers pulled away. Sabraski moved into third and challenged Johnsen Jr for the spot while Olson and Wilson continued their battle as they slipped past Soltis. Myers continued his charge as he drove home for the win with Johnsen Jr holding off Sabraski for second. Wilson and Soltis completed the top five. Olson broke on the last lap and failed to finish but he had enough of a cushion over Myers that he claimed the point championship in the Super Stocks. The Street Stock feature was carried out at a furious pace with drivers running two and three wide throughout the field. Rookie Shawn Amundson and Kolby Kiehl had a great early battle for the lead before Kiehl was able to edge into the lead. Ron Hanestad and Sam Fankhauser were right there to battle too and were joined by Hunter VanGilder, Olson and Cody Kummer. The top six or so ran in a tight pack as they tore around the track. Olson moved to the higher side of the track and was able to drive extremely deep into the corners and move up. After getting by Amundson, he closed on Kiehl and they locked into a side by side battle for the lead. In extremely close racing, Olson was able to edge into the lead while the battle behind him continued to rage. A late yellow with three laps to go set up a sprint to the finish. Olson was able to pull away from the pack but the battle behind him raged on, with Kiehl, who gets closer and closer to that first win, settling for second with Amundson a strong third. Kummer and Fankhauser were right behind him. Kummer's finish was more than enough to secure the point title for the Medford resident. For Olson, it was his second straight win in the Mark Ewert #70 car, having won the Little Dream just ten days ago. Saturday's win, however, paid just a little bit less. The two fastest cars in the Pure Stocks this year, George Richards and Jason Havel, locked in battle for the win in the feature race. Richards started in the second row and took the lead in less than one lap. Once in front, he stretched his margin while it took Havel longer to work his way through traffic from the third row before he saw the second spot. However, a lap ten yellow when Mike Grover got turned around bunched the field and led to a two car battle to the finish. On this night, it was Richards who prevailed as he opened up a two car length lead and rode that margin home for the win. A last corner pass saw Tucker Quinn edge Grover for third with Jay Barnier getting his best finish ever in fifth. For Richards, it was his fifth feature win of the year at Rice Lake. Havel raced with an extreme handicap on Saturday. He raced despite the fact that he is battling a severe case of diverticulitis and also broke his foot this week. With his right foot in a cast, he bungee corded his right leg behind him so it was out of the way and he drove the gas with his left foot! But it was worth the effort as his second place finish guaranteed him the point title in the Pure Stocks. 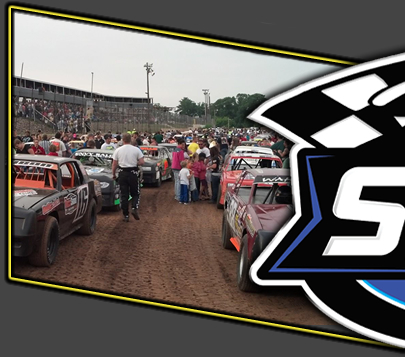 Next Saturday night, August 20th, the Season Championships will be decided in all five divisions. Drivers will be lined up by points earned during the 2016 racing season and they will qualify for the features based on their heat race finishes. The rain date for this event is the following Saturday, August 27th. Also, the rescheduled bike races will be held of all age groups at intermission. Warmups begin at 6:30 pm with racing to follow. 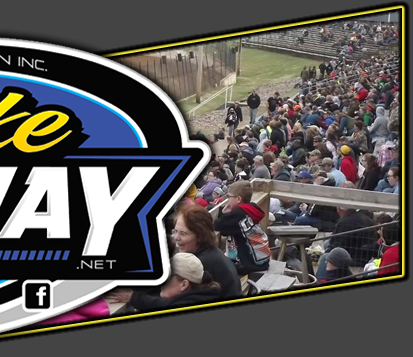 Check the speedway website for late breaking information at www.ricelakespeedway.net.